The variant is given such a name because of the many diagonal colour regions slanting in one direction, like heavy rainfall. In addition, each diagonal colour region must be filled with the same number. 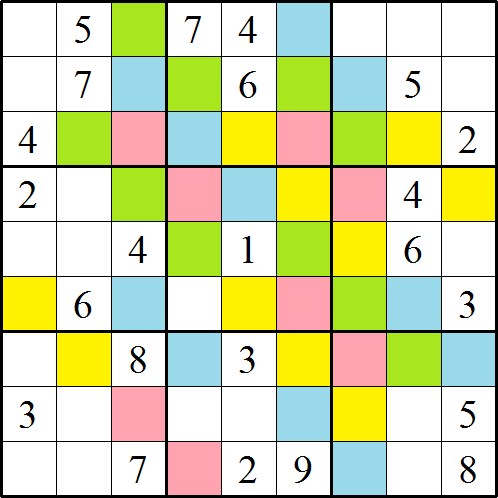 Note that regions in the same colour on different parts of the grid do not necessarily contain the same number as each other. Mathematical reasoning & proof. Generalising. Networks/Graph Theory. Creating and manipulating expressions and formulae. Visualising. Logo. Working systematically. Games. Combinatorics. Chemistry.